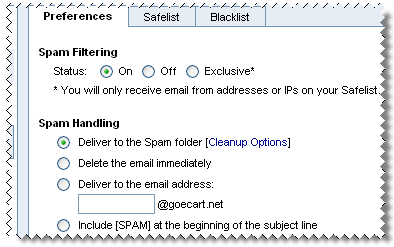 How do I modify the Spam Filter settings in Pulse Commerce webmail service? Click on the Settings button in the top right corner. Click on the Spam Settings button in the left navigation. Status — Turn spam filtering On, Off, or set for Exclusive. Indicate how the spam filter should handle incoming spam. Deliver to the Spam folder — Spam email will be delivered to your Spam folder. Delete the email immediately — Spam email will be deleted automatically. 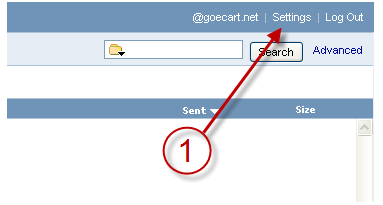 Deliver to the email address — Spam email will be forwarded to the email address you indicate. Include [SPAM] at the beginning of the subject line — Spam email will be delivered to your inbox but will include the text [SPAM] in the subject line. Note: If you are using email software (Outlook, Netscape Mail, Eudora, etc.) 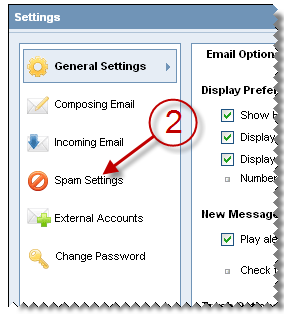 with a POP3 connection, you will need to log into webmail to view your Spam folder.